If people would learn to just ignore the mishagoyim they'd go away. Why do we give these people credence by fighting them? 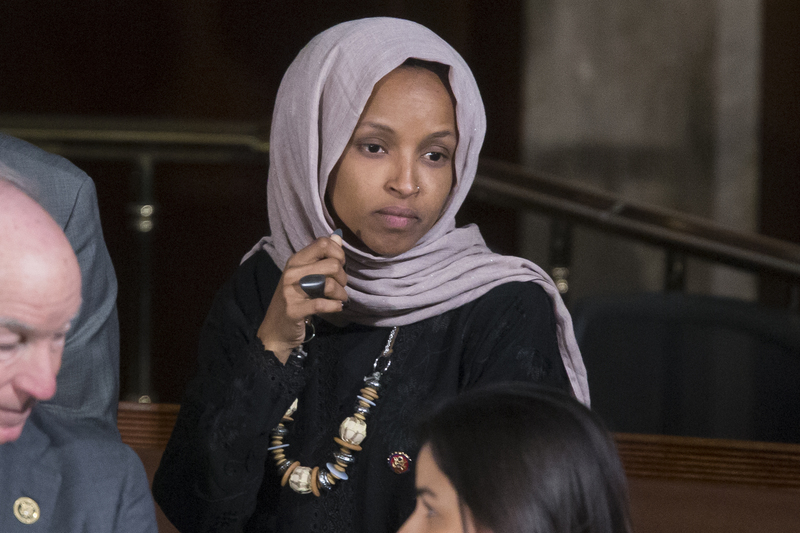 Why must Trump give credence to Omar? Ignore her and she'll be the laughing stock. Why give credence to AOC? She is an immature college kid? And why does the left give credence to nazis and white supremacy? Had they ignored them Charlottesville would have been some loser protest with no one hurt and life would have gone on. And Pittsburgh probably would have never occurred. Perhaps the Trump tweeting stuff is childish. Perhaps the time might be better spent with addressing any of a myriad of other governmental issues. But he is correct. Omar y"sh is implicitly minimizing and thus supporting terror, against United States and Israel. This is evil and needs to be exposed and emphasized. She, and those who minimize this evil are not worthy of serving the public. Trump is correct, though I wish he would spend his time doing other work. You know what: if you collect all (or just the one from 9/11) her vicious and poisonous comments, and this is not considered “evidence”, then your just as guilty as here. What a preposterous statement! Sorry but history teaches us just the opposite. She is not “meshuga” at all! She is dangerous and needs to be exposed. She knows exactly what she’s doing, she’s testing the limits! And the less people react, The further she & The likes of her will go. World War II didn’t happen overnight. The fire needs to be extinguished while we can. The fact that she can hold her position in public office is an utter disgrace and should not be tolerated. The president is not escalating nothing. He as commander in chief has a right and duty to react! Both covertly and openly. It’s time for us to wake up and smell the - rotten - coffee! that's wishful thinking they don't go away that's a mistake, see she was elected and there are more and more liberals and anti-Semitis we do have to call them. And why did we give credence to Trump? The same AOC and Omar etc. ENTERTAINMENT we enjoy it. what a bunch of cowards posts 1-3 are! a shame and a true boosha to the yiddishe nation, if they are indeed yidden. rather than support President Trump for his courage of standing up to the evil pirate omar on behalf of the obviously spineless, wimped out yidden (as is evidenced in the aforementioned 1-3 comments), you BASH HIM??? may Hashem bless Trump with continued courage and strength for this incredibly kind act of LEADERSHIP. AMEN! She was elected by the PEOPLE. Even more than Trump who was elected by Electors not the People. Just too bad. Get used to it and enjoy the show. Motzo min beminaj. They are the same type. You are soooo right. "Vicious and Poisonous comments" "not considered evidence" YOU ARE JUST AS GUILTY AS HE IS. Hello Trump voting frumme!!! She is getting the same attention from the Press as Trump did. He posted himself that he got more free press than all the others combined. He did and got him elected. Today he hates the FREE PRESS. Now she copies him. Trust Me . If she becomes the POTUS She will hate the press too. As a liberal, I hate most Democrats because they are opposed to true liberalism. Omar is a hate speech generator who should not be tolerated. I say this because I am not racist like the other Democrats who think that she needs to be included for "diversity"--as a bigot, she does not represent her ethnicity. Trump (at the time of his "comment") was not in office and he was not "commenting", he was in private (or so he thought) conversation and putting up a fake "macho" (as it would have been thought of in his days) bravado. Omar is an elected official making on-the-record official political statements/speech. If that doesn’t talk to you, then your Trump comment is just a disguise of your twisted thinking. Astonishing how you compare the 2. The little Tinuf cannot become President of the United States because the Constitution requires the President to be born in the United States. “ what a bunch of cowards posts 1-3 are! a shame and a true boosha to the yiddishe nation, if they are indeed yidden. Your comments in #3 and #4 are contradictory. You can't have it both ways, either or. No we shouldn’t ignore anti semites, if we don’t want another holocaust! Trump is so right in all he said. The fact that so many people are jumping toOmar’s yimach shema defense is because they agree with her! The dem Larry is now officially the party of anti ssemitism and no one can deny it, as we say in Hebrew that remaining silent is the same as agreement! Only low IQ individuals like yourself think Trump is entertainment, after how great the state of our country is in now, and how supportive he is of Israel. I’m amazed at how all the fools are on the dem side! Comment #3 is reflecting some - outrageous - statements in the article . And #4 is a direct response to #1. Now, what exactly is contradictory between the two? “ Sorry but history teaches us just the opposite. She is not “meshuga” at all! She is dangerous and needs to be exposed. She knows exactly what she’s doing, she’s testing the limits! And the less people react, The further she & The likes of her will go. World War II didn’t happen overnight. "Her position in public office" "She was elected by we the people." If you dont like the system you can go to Russia, No Korea or Saudi Arabia where they have Great Trump Style systems. Both these people need to get jobs. You’re brainwashed and brain dead. Sucking up to a anti Semite. Well now that she’s an office, her mask is off. Different set of circumstances, Genius. And I don’t have to go till Russia; with the democratic party of today of fascism/ communism. If Congress - led by Pelosi - cannot & will not directly condemn her anti-somatic and hateful comments against the US & Israel; that demonstrates power before country, & what their values are! Well said! Silence is deafening!